J.E.R. 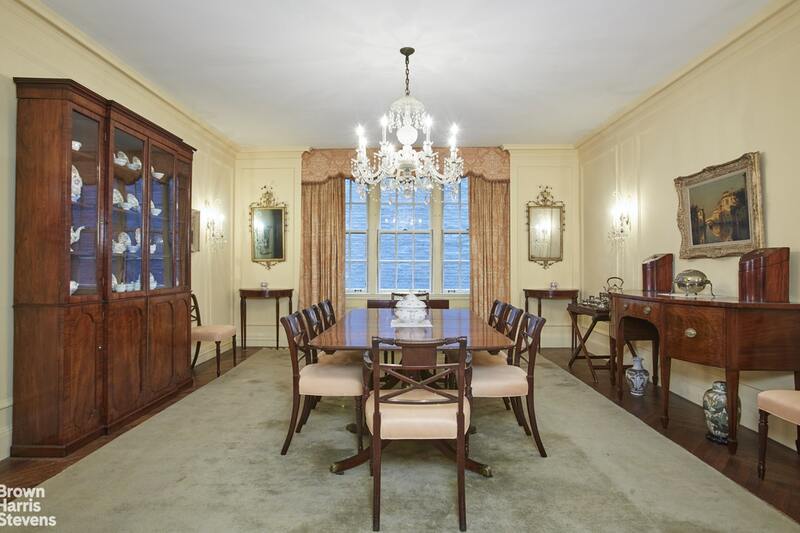 Carpenter's brilliantly designed 9 room corner apartment in one of his most notable achievements, 580 Park Avenue. Off a semi-private landing, the highly coveted A-line has south and east exposures and a rare and beautiful oval gallery. 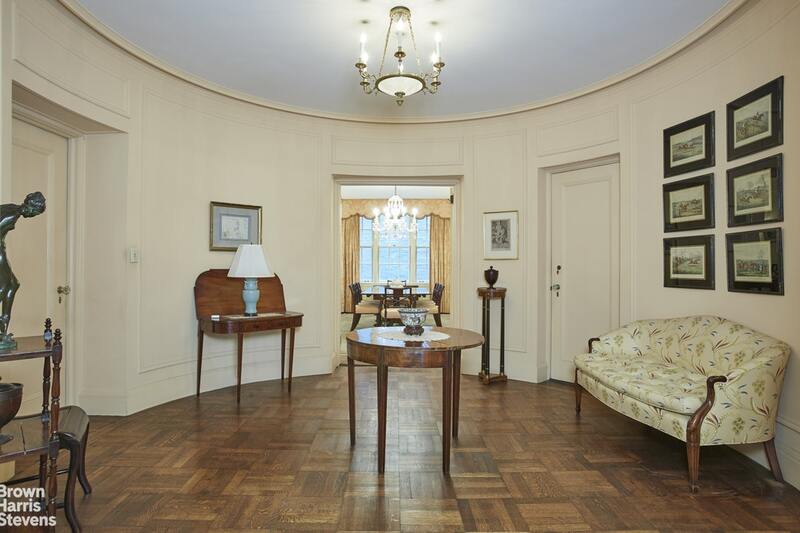 Apartment 3A, on the corner of Park Avenue and 63rd Street, reflects the architect's celebrated layout with his signature oval central gallery connecting all major public rooms while providing access to the private bedroom wing. 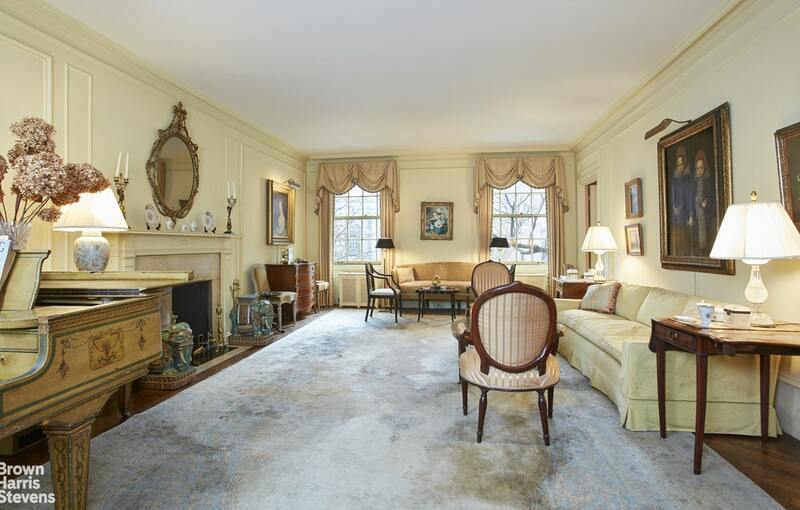 High ceilings, oversized windows, detailed moldings, impressive scale, and gracious proportions are all found here. 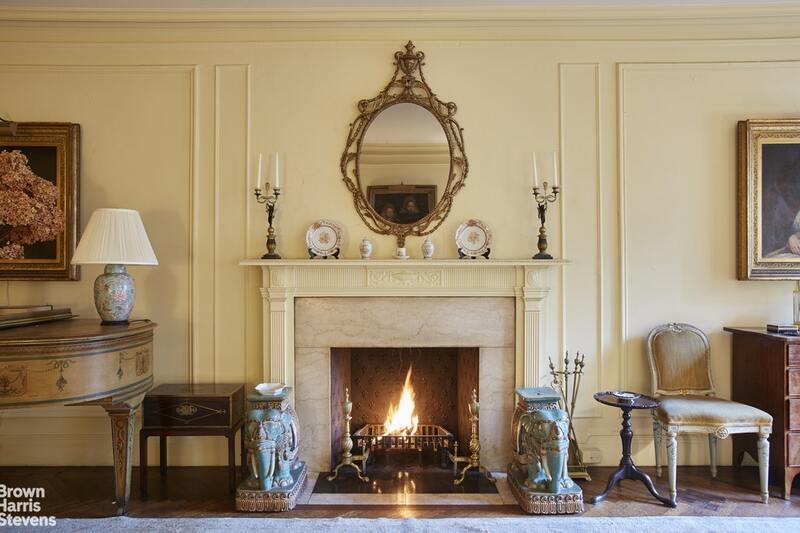 The massive 25'8" x 16'3" living room is anchored by an elegant wood-burning fireplace and has beautiful classic prewar details, and two east facing windows overlooking the trees and seasonal flowers lining the Park Avenue Mall. The corner library has double exposures east and south with views south down Park Avenue. The library has a large walk-in closet and pass-through bath. 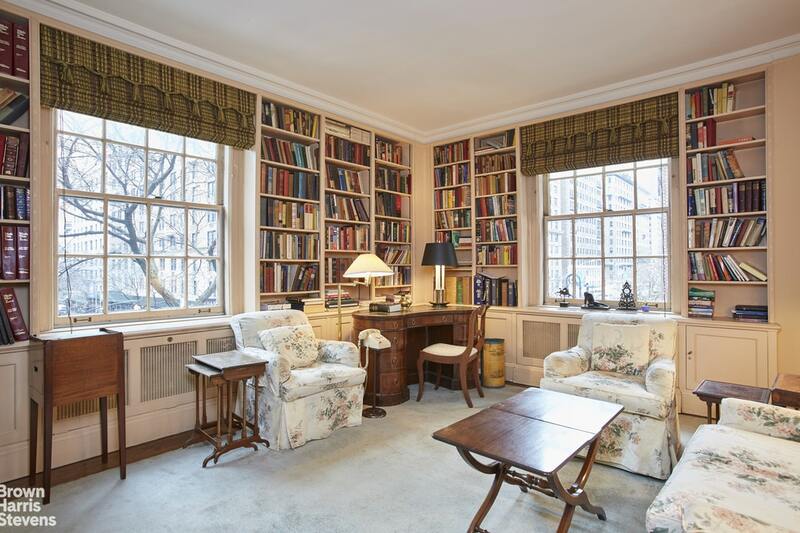 The library can easily be used as a stately guest room. To the west, the gallery connects with a grand dining room which can accommodate a large rectangular table or several round tables for larger gatherings. 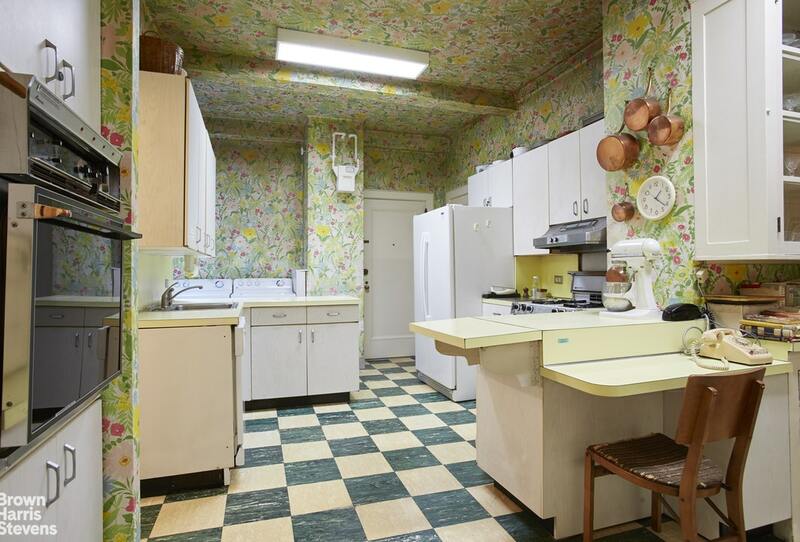 The enormous eat-in kitchen has 9'9" ceilings, a large pantry with original period cabinets, and provides easy access to the dining room and foyer for catered affairs. Two staff rooms have been combined to create a large bedroom with bath or an ideal home office and laundry. Three private bedrooms are located off the gallery and face south with beautiful tree-lined views. Each room is generously sized with large windows and abundant closets. The corner master bedroom has windows to the south and west. 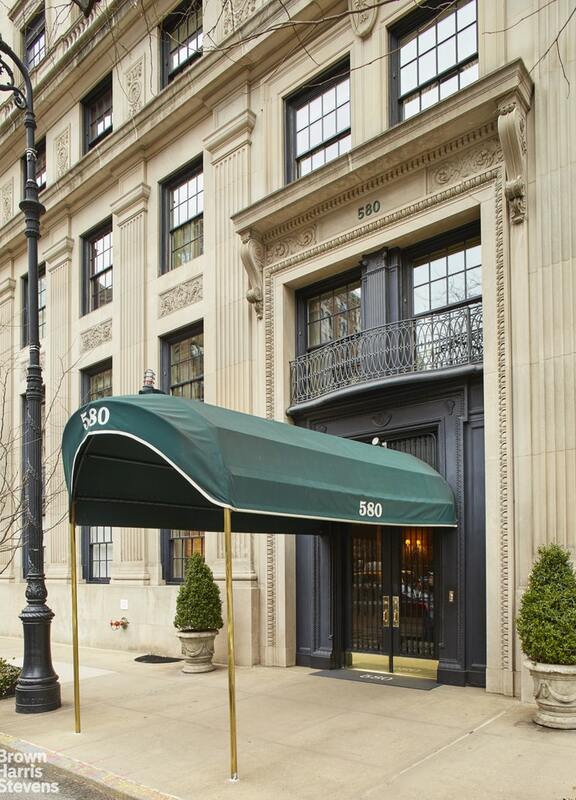 580 Park Avenue, a white-glove building, is an elegant Italian-Renaissance-palazzo-style building fronting the entire block between 63 St and 64 St. 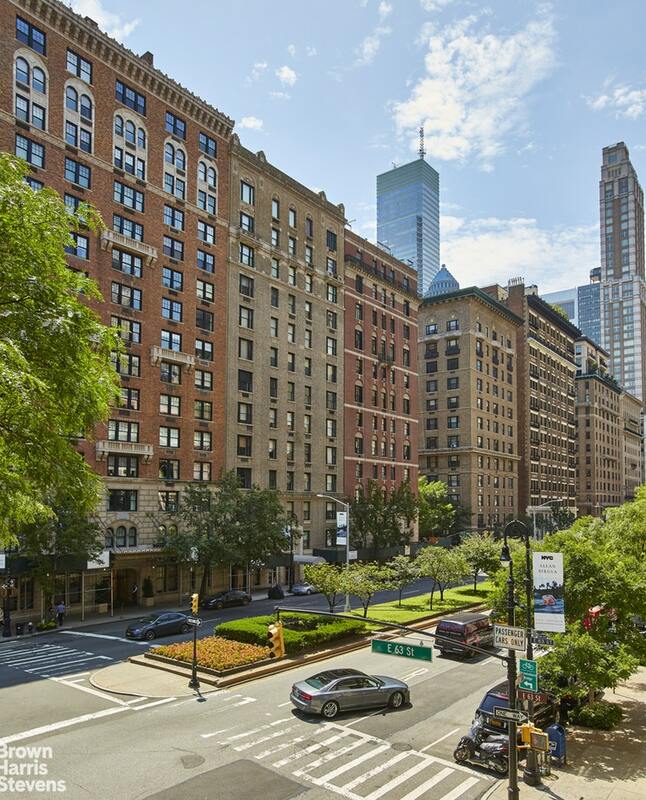 Ideally situated just moments away from Central Park, Mid-town, and all the Upper East Side has to offer including the city's finest museums, restaurants, and shopping. The building opened as a cooperative in 1923 .A large storage bin transfers with the apartment.